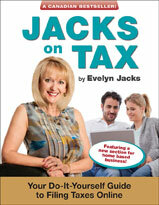 Evelyn Jacks Blog – Your Money. Your Life. Note that Employment Insurance benefits and passive investment income sources don’t count for these purposes. Claiming child care expenses. Receipts documenting child care costs must be kept.Child care expenses must normally be claimed by the lower-income spouse. However, they may be claimed by the higher-income spouse during a period where the taxpayer was separated from the other supporting person due to a breakdown in their relationship. This must have occurred for a period of at least 90 days, as long as they were reconciled within the first 60 days after the taxation year. If the taxpayers were not reconciled within 60 days after the taxation year, then each spouse may claim any child care expenses they paid during the year with no adjustment for child care expenses claimed by the other taxpayer. In addition, the higher earner may make the claim if the lower earner was a full time student, incapacitated or incarcerated. Canada Child Benefit (CCB) which was enhanced in July of 2018 to increase accessibility to Canadians. These credits and benefits don’t need to be re-applied for annually, but to ensure they’re received continuously by eligible families, taxpayers need to file their yearly tax returns even if they made no income during the year. Child care expenses can also be used to reduce withholding taxes, along with RRSP contributions, moving expenses, deductible employment expenses, medical expenses, interest on investment loans, tuition fees, and charitable donations. This is something that most people aren’t aware of, and all it takes is filing form T1213 Request to Reduce Tax Deductions at Source, for taxpayers to see that money appearing back on their monthly paycheques! Planning ahead, all child care expense receipts for 2018 should be in order and filed for audit purposes, while 2019 receipts for January to April are ripe for assembly as well. New parents in 2019, in particular, should seek extra help with their tax filing rights with a visit to their professional tax specialist for specific questions and advice. Be sure to get your copy of Essential Tax Facts 2019, by Evelyn Jacks, available May 24! This new book will help you prepare for the 2019 tax season, and is integral resource to help educate and inform taxpayers. Pre-order yours today by calling 1.866.953.4769!